Walker Stalker Con London Feb 20th and 21st 2016 at Olympia has, as I write this, just happened. 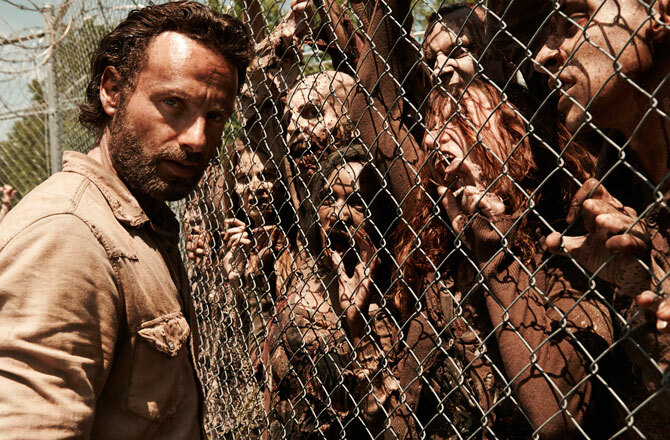 Probably THE most exciting weekend for any fan of The Walking Dead outside of the U.S. I got my tickets in May last year and had been counting down the days. I consider myself a big fan of the show, I was there that Halloween 2010 glued to the TV to watch the first episode and have not looked back since, I adore it! 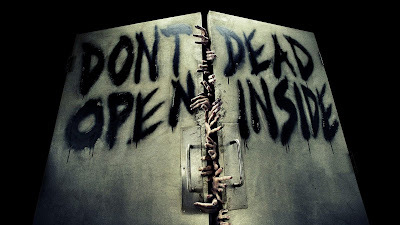 The zombies, the characters, the stories but mostly the zombies (or should I say Walkers?! 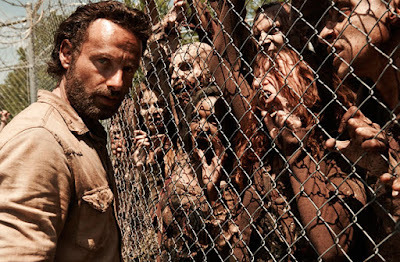 ), I’ve immersed myself in everything to do with this franchise, so on hearing that the U.S Walker Stalker Convention was coming to the UK…… you can bet your zombie loving arse I’m gonna go!! I could only afford general admission tickets but you could spend over a thousand pounds on a Platinum VIP ticket if you fancied!! I was unphased by my ticket choice at first but as more information was released prior to the event I was getting increasingly nervous that my inferior ticket would mean I wouldn’t be in with a chance of seeing anything. Worse still I decided to read reviews of other Walker Stalker Cons in the U.S and was really starting to get worried by the numerous awful reviews of poor organisation and upset punters. However, about 10 days before the event I received an email from the event organisers detailing everything and I breathed a sigh of relief, maybe there was a chance of seeing some cast members after all. Who of the cast were attending I hear you ask? Well, the line up was pretty bloody good. I was particularly looking forward to Greg Nicotero, Executive producer and Director of the show and Charlie Adlard, the Artist responsible for the illustrations in the comics. There was also Melissa McBride (Carol), Jon Bernthal (Shane), Chandler Riggs (Carl), Michael Cudlitz (Abraham), Chad Coleman (Tyreese), David Morrissey (The Governor) to name but a few. 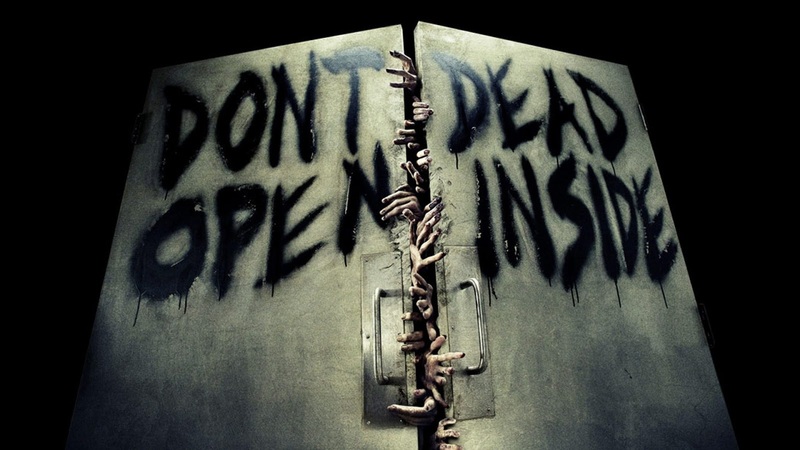 Unfortunately, Steven Yeun (Glenn) and Emily Kinney (Beth) had cancelled. It was announced before Christmas that fan girl favourite Norman Reedus (Daryl) would attend both days ( as if we needed another excuse to go, that sold it!). It was then released earlier this year that Andrew Lincoln (Rick) would attend but only on the Sunday and even his panel appearance was ticketed and sold out in seconds. Whereas all the other panels were free. I only had tickets for Saturday so was a little disappointed but was under no illusion that had I been there on the Sunday, I would have got anywhere near him. On arrival at Olympia we had to exchange our tickets for wristbands depicting our level of access. For general admission the doors to the convention opened at 10am, the wristband exchange had been open on the Friday before (so people could exchange early) and was open on the Saturday at 8am. We got there at 9.30am and joined what I can only describe as the hugest, most daunting queue of people EVER! There were also hundreds falling in behind us being squished in. I kind of expected this but felt a little disheartened all the same. My first plan of the day, once we were inside, was to attend Charlie Adlards panel at 11.15am, I was worried by the shear number of people in front of us, that this was unlikely to happen. To my surprise and delight we moved fairly quickly and by 10.40am we were in! The venue is vast and, in my opinion, pretty well thought out. There were volunteers everywhere and were always happy to answer questions and point you in the right direction. 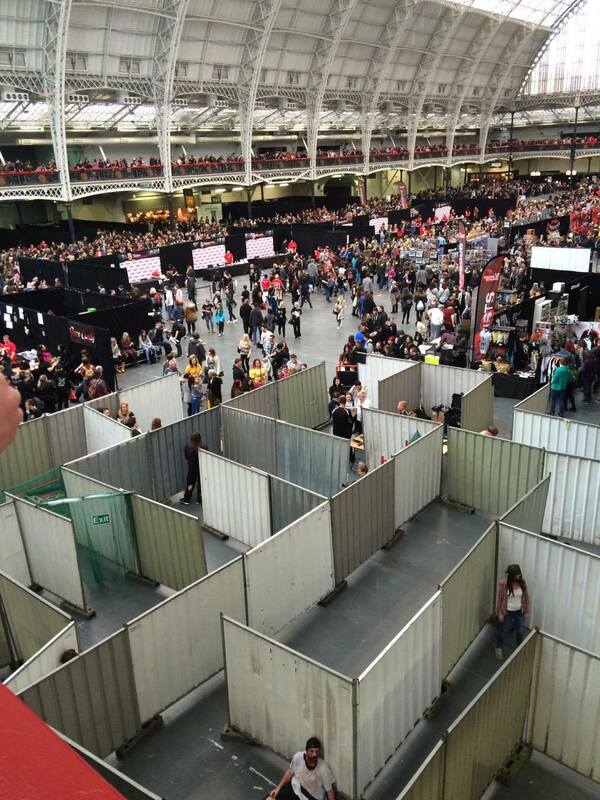 Autograph booths were set up all over the place with separate queues for general admission and VIPs. The first two booths I saw were Jon Bernthals and Chandler Riggs, both were completely rammed with adoring fans, no chance of a glimpse of either of them! I tried my luck with some of the, for want of a better word, less popular characters. Lawrence Gilliard Jr (Bob) was one of the happiest people I’ve ever seen, laughing and chatting with everyone. I think he was more excited to be there then some of us normal people!! By pure luck, after a trip to the ladies, we walked past David Morrissey’s booth and there he was!! As quick as I could I whipped out my phone and took some pictures, at that exact moment he looked up and waved at me!! Well, he may well have been waving at someone behind me, but I can tell you now my knees went weak and I was thankful I’d just visited the lav!!! After that I managed to snap a few shots of Greg Nicotero and Charlie Adlard before moving on to find the panel stage. There were loads of Cosplayers about some better then others but the main theme seemed to be if you were female you were either Carol or Rosita, I swear that there was a woman dressed as Daryl but really couldn’t be sure. Most of the male Cosplayers seemed to be Rick or Abraham, although there was one guy dressed as Tyreese that pretty much looked exactly like him. 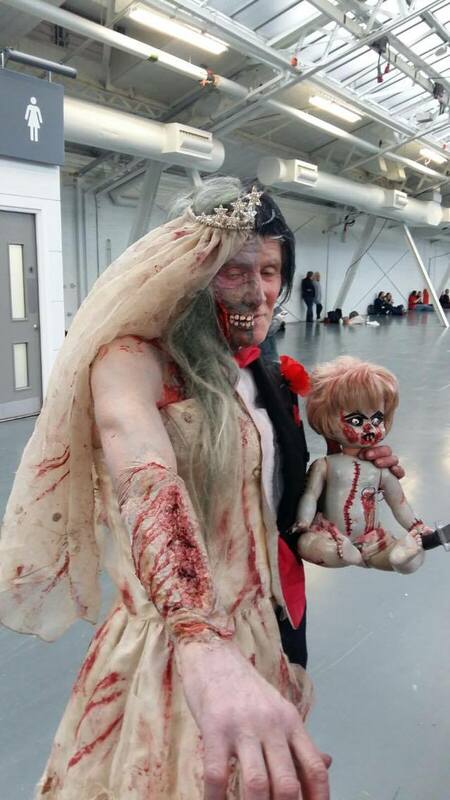 Also some very good Walkers wondering about my fave being a zombie bride and groom, one side of him was the groom and the other was the bride complete with bouquet, garter and creepy dead baby. Next to where the panels were held was a large area cordoned off for the photo ops. These were sold separately, prior to the event and I believe were broken down into time slots and group numbers so people could queue (again) for professional pics with their favourite star. Quite a few of these were posted on social media after the event and they did look great but personally I cant think of anything worse I detest having my picture taken so I left that well alone. The panel area was a decent size but quite open, volunteers were there to let you in and out, VIP’s were at the front and the rest of us filling up the back seats. Charlie Adlards panel was poorly attended but good for us as we got moved forward so got to sit very near the front. He is a very interesting chap and talked in great detail about how he creates his drawings and the astounding time frame he has to do so. He talked about his favourite characters to draw and if they differ from the characters he has a fondness for and reasons why some of the comic’s content will never feature in the TV show. I was also unaware he was the drummer in a band called Cosmic Rays. During his panel though you couldn’t help but be slightly distracted by the varying degrees of screaming coming from the mezzanine above us. This was where the autograph booth was for one Mr. Norman Reedus. At one point he was leaning over the railings squirting silly string down at the unsuspecting photos ops line below. I couldn’t get to my phone in time but that was my first glimpse of him and I felt my blood pressure rise instantly. 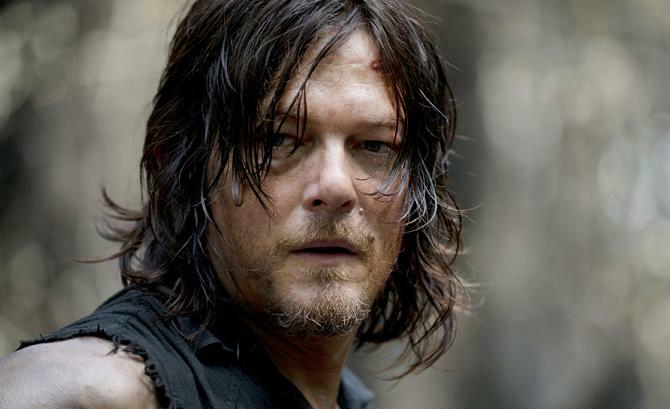 Daryl isn’t even my favourite character but as a woman I can’t help but swoon at the mere murmur of his name. After Charlie’s panel I decided to try my luck and see what the score was with getting a bit closer to Norman. I was a bit torn though as I wanted to watch Josh McDermitt, Christian Serratos, Alanna Masterson and Michael Cudlitz’ panel but the pull of Norman was too much. Unsurprisingly, it was heavily guarded and the queues were huge. One volunteer told me that no more general admission people would be admitted that day and it was only 12.30! I had to make do with very fleeting glances of him from about a 30m distance. If I zoom in on my pics I can just about make him out but I did turn into a total fan girl, every movement he made did make my womb do a back flip. Unfortunately for me Melissa McBride was off doing photo ops so I didn’t get to see her either so I made do with watching the panel from the mezzanine which was pretty amusing. expecting but there was a little bit of everything alternative, horror and zombie as you would expect. My favourite was a tattoo stall that would ink your fave actors’ autograph on you, I thought that was awesome. 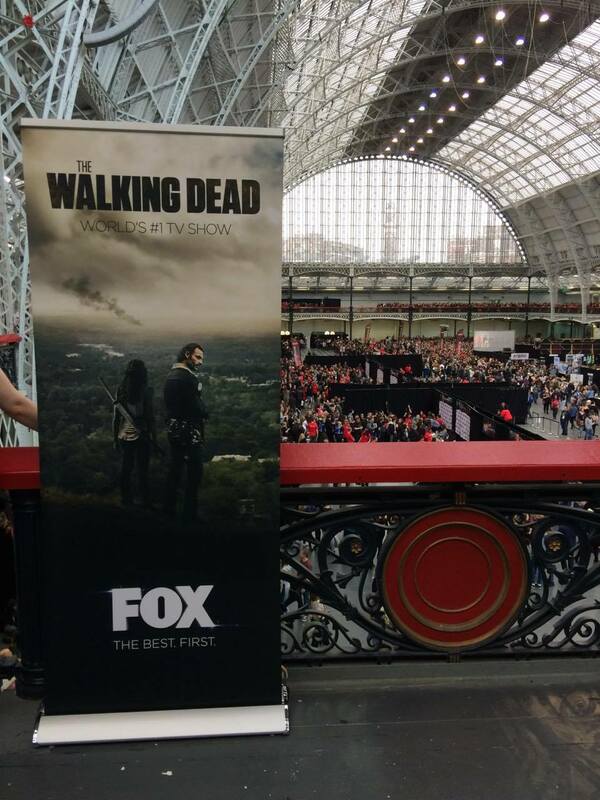 The official merch stand for The Walking Dead was a sight to behold but very expensive. They had a limited edition Walker bust for a mere £500. Not to mention a stall that sold real swords and katanas. There was also a Zombie Survival laser quest game going on in the far corner. I was slightly more restrained and treated myself to the Official London Walker Stalker Con magazine and poster, both designed by Charlie Adlard, and a t shirt, which weren’t exactly cheap, a few postcards and badges etc. On our way round we stumbled upon a small stall manned only by Eugene Clark aka Big daddy of The Land of the Dead fame! Selling various pictures of his scenes plus a selfie with him for £40. I was quite star struck (again) and very tempted but didn’t partake which I now regret. talk about the emotional deaths of their characters. 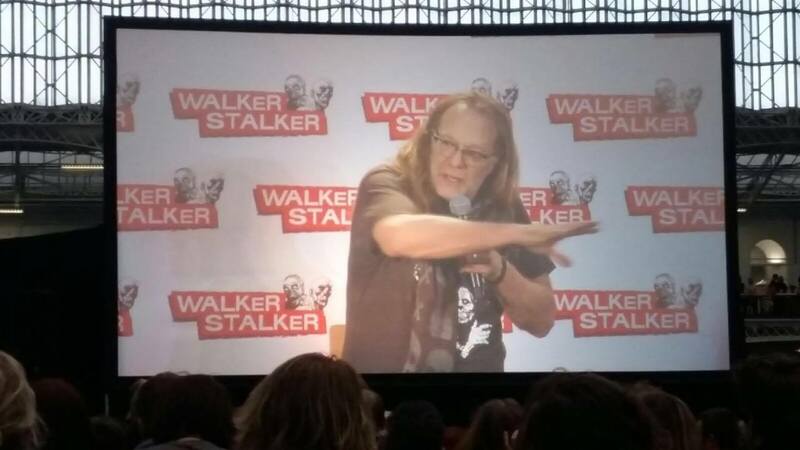 Straight after that was the panel I was most looking forward to, Greg Nicotero took to the stage. He is one awesome guy, he talks so passionately about all the work involved with the huge walker horde scenes and gave us an insight into the shooting of the recent scenes of Sam and Jessie’s deaths. I’m also very pleased by how unswayed he is by public opinion of who should or shouldn’t die. He also loves to wind us up about killing off Daryl! 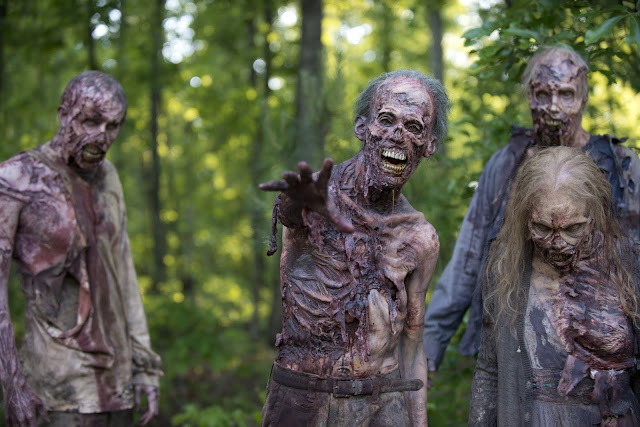 I love his tribute walkers he places in episodes throughout the series and he spoke very animatedly about these. I very nearly stood up and asked him if the recent scene in the returning episode after the mid season break was an ode to The Land of the Dead but totally chickened out! Still a very nice guy and a pleasure to listen to. After that there was a panel with Jon Bernthal, Chandler Riggs and Sarah Wayne Callies but I got distracted by the shops again plus we had been up since 5am so were pretty knackered we decided to call it a day. I had a truly brilliant time and im so glad I did it, but if I was going to complain it would be that the venue was a bit too small to accommodate the shear number of people so they need to find an even bigger venue. Also I’d like to see some of the other cast members like maybe Lauren Cohen, Lennie James, Michael Rooker and Scott Wilson next time perhaps. One things for sure I’m buying tickets for both days! !